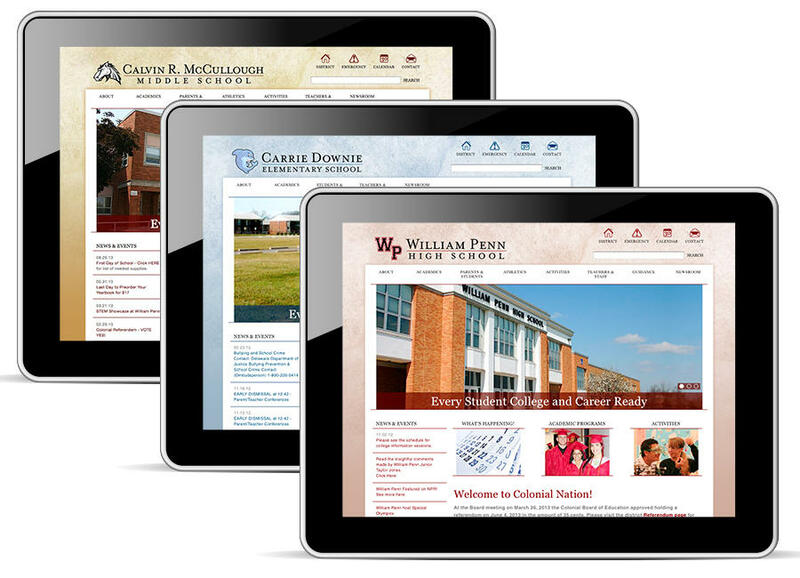 Revitalize public image; improve web experience. 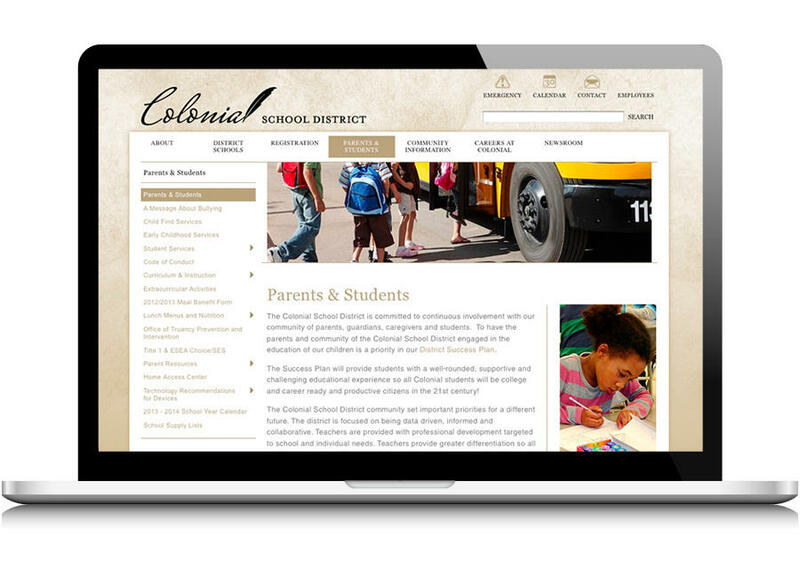 Part of a campaign to positively energize public perceptions of the Colonial School District, M Team extended a newly developed brand, a new look and enhanced functionalities to a comprehensive, new master website for the District, and sites for fourteen individual schools ranging from elementary through high school. 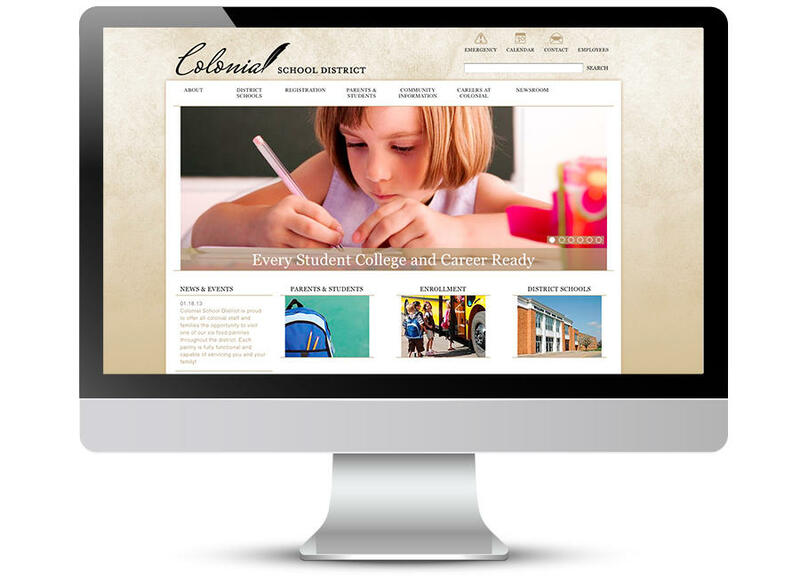 The improved user experience has been a big hit with parents, students and the Colonial District administration, making the site system both a potent marketing tool and a useful information hub. 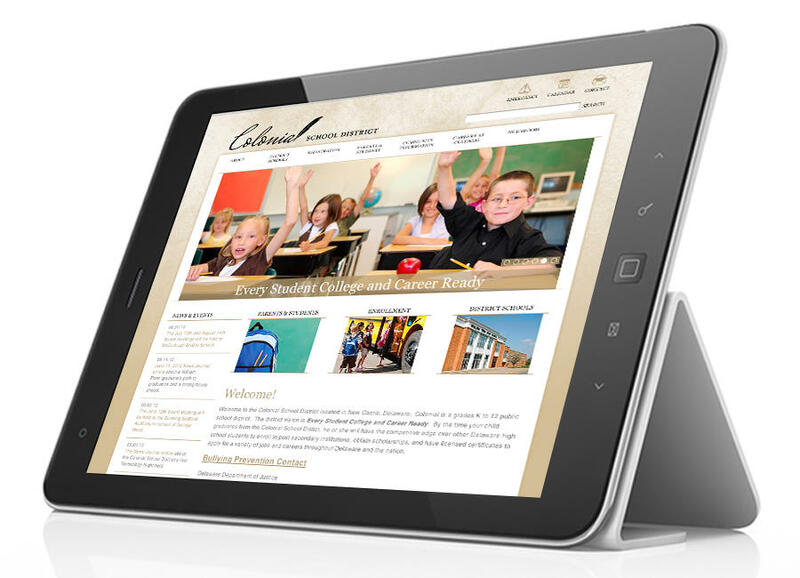 A robust Drupal CMS enables district and school administrators to keep content current across hundreds of pages on all fifteen websites.